The Government Accountability Office has accepted a Congressional request to investigate the possibility of fraud and identify theft in the comments for the FCC’s net neutrality rollback. Several members of Congress wrote asking for this in December, and the GAO will look into it — in five months or so. 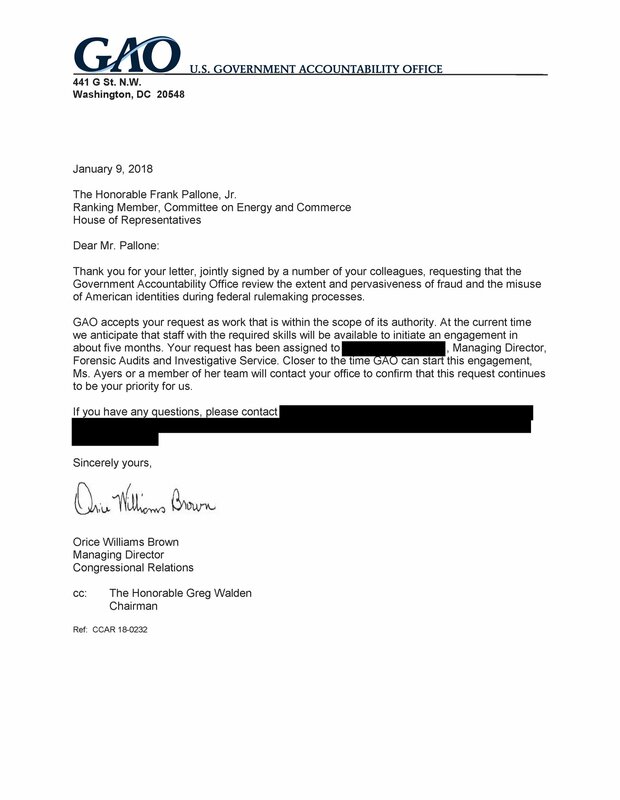 Thank you for your letter, jointly signed by a number of your colleagues, requesting that the Government Accountability Office review the extent and pervasiveness of fraud and the misuse of American identities during federal rulemaking processes. GAO accepts your request as work that is within the scope of its authority. There’s no guarantee that this will make any waves, but the FCC would almost certainly rather not have these guys poring over their records. If it turns out that the agency did not adequately adhere to the Administrative Procedure Act, which defines how federal rules are to be established, it’s possible that the rule could be taken out of effect. At the current time we anticipate that staff with the required skills will be available to initiate an engagement in about five months. It stands to reason that using red tape to tie someone up would necessarily involve a bit of a wait. But it does lend legitimacy to the concerns raised by Congress, and of course also by nearly 20 attorneys general. As I’ve written before, there’s no magic bullet for reversing the FCC’s decision to roll back our existing net neutrality rules — but there’s also a plethora of options that may bear fruit one way or another, of which this is one.